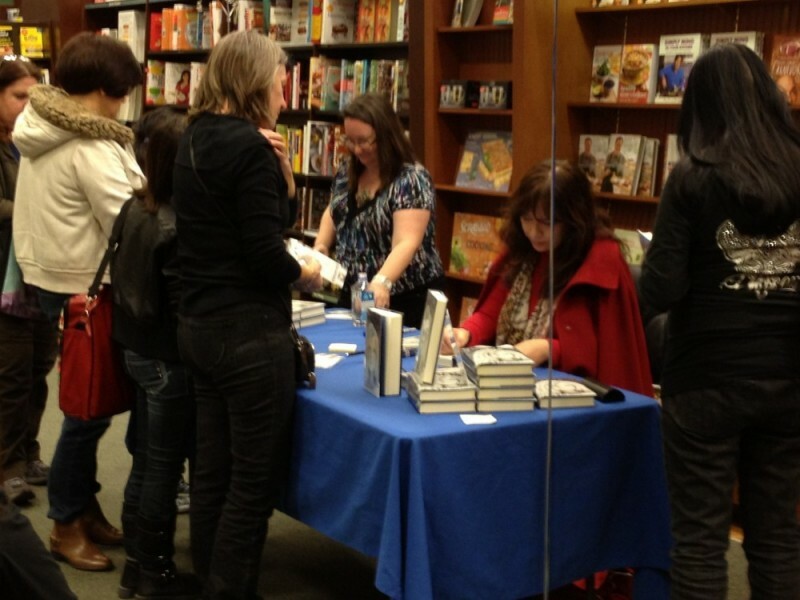 Thank you, Vegas B&N, for a wonderful event last Friday night. I was impressed with the turnout on a night when there is so much to do in your city. Loved meeting everyone. There’s one thing you guys may not realize. As excited as you are to meet me (those who have read the book), I’m more excited to meet you. You all had great, smart questions about my favorite subject — writing. And one lucky person won a Hunger Games t-shirt. Oh, in the photo, that line you see? It’s balloons. Vegas sure knows how to party, even their book signings are festive.